Want to lead a green life? Energy wasted from leakage around windows and doors makes up 20 percent of total home energy consumption in China, according to Ni Shouqiang, deputy director of the China Construction Structure Association. Windows and doors are major weak spots in the thermal envelope of buildings, failing to reduce heat loss in the winter and heat gain in the summer, said Ni at the China International Festival of Windows and Doors held from Saturday to Monday in the city of Gaobeidian, in north China’s Hebei Province. The inefficiency increases the burden on the public heating system in the winter and means more use of air conditioners in the summer, Ni said at the event dedicated to energy-saving, high-tech windows and doors. Winter heating in northern China consumes a huge amount of coal and warm air escapes easily through gaps around windows and doors, he said. In Hebei, each resident needs an average of two tons of coal each winter, which is a major contributor to haze and air pollution. If the efficiency of windows and doors, totalling 11 billion square meters in China, reached the level required in Europe, it would save 430 million tons of coal equivalent every year. “It will reduce both energy use and pollution,” Ni said. China builds 2.5 billion square meters of new structures each year, more than the total for all developed countries combined. Energy-efficient windows and doors only account for 0.4 percent of those being used, which means energy consumption caused by leakage and drafts in China is two to three times more than in developed countries. China has standards of energy efficiency for windows and doors, but they are poorly implemented, said Wei Hedong, chief engineer of Hebei Orient Sunda, a Sino-German venture that manufactures efficient windows and doors. An abundance of substandard products has exacerbated the problem. “Some developers just care about price, not quality. They cheat home buyers with false certificates of quality,” said a window producer in Hebei who declined to be named. Statistics from the Ministry of Housing and Urban-Rural Development show China has more than 30,000 manufactures of windows and doors, the vast majority of which are small enterprises with outdated machines and techniques. In order to seal off the energy waste, experts say the government should update current standards and encourage citizens to make improvements. “We lag far behind in terms of new standards. Some of the standards we follow today were decided on twenty years ago,” said Yao Bing, deputy director of China Energy Conservation Association. Ni Shouqiang wants subsidies and low-interest loans to help home owners replace or upgrade their windows and doors, an approach that was successful in developed countries. He also wants to see universities and other institutions researching efficiency. Driven by increasingly tough environmental legislation, European companies have been working on the problem for sixty years, said Bao Youge, general manager of Rehau Polymers (Suzhou) Co., Ltd, a Chinese subsidiary of the Germany polymer processor Rehau. The Ministry of Housing and Urban-Rural Development is expected to unveil revised standards for green buildings this year, a significant move to cutting energy consumption in buildings use 40 percent of total social energy. “Energy-efficient windows and doors are fundamental to achieving our goal,” said Lin Haiyan, deputy dean of China Academy of Building Research. 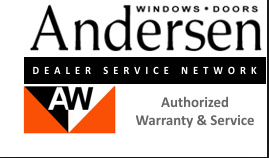 Bottom line, here is what we at TR Window Services say: American’s shouldn’t shortchange themselves when it comes to energy efficient windows. Do the research on the products and make sure you know what you are buying before making hasty decisions when it comes to windows and doors. Cheapest rarely means the best!